Austrian, Brail and Contour Curtains are all the same, right? The three are very similar, but they are not the same. Austrian, Brail and Contour Curtains are easily recognizable by their horizontal swags of fabric. All three have rings attached to the bottom of the curtain so that cables, which run vertically through those rings, raise and gather the curtain from the bottom when it’s flown out. 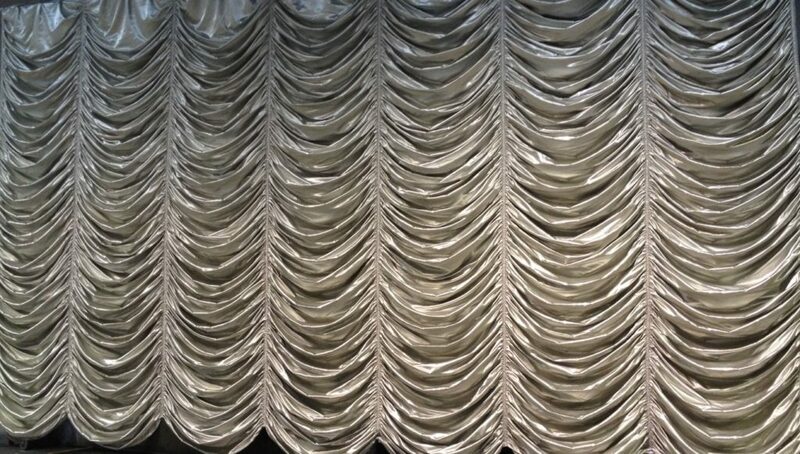 Sumptuous Austrian curtains typically have horizontal and vertical fullness, while a Brail has much less horizontal fullness or is flat until gathered from the bottom. We use top of the line fabrics and finishing methods in our in-house Drapery Shop, and it shows in an exquisite end product.